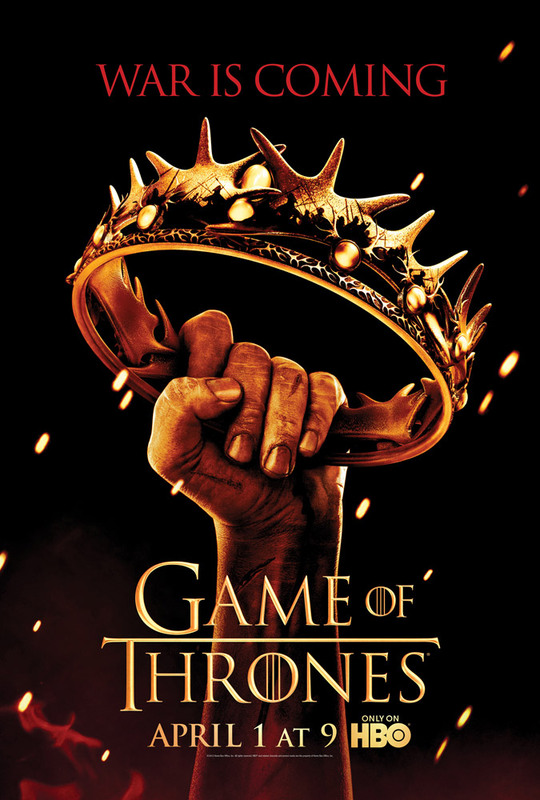 The first season of HBO’s fantasy epic Game of Thrones hit shelves just yesterday, and (Nerd Alert!) I just finished watching the whole thing last night. I’ll have a full review ready for you all later today (EDIT: that review is now live here), but in the meantime here’s a taste of the show’s second season for those already converted. I think this spot does a great job of reminding viewers where all the game pieces are and highlights the main players. I’m personally most excited to see my two favorite characters Arya Stark and Tyrion Lannister featured prominently alongside glimpses of the red witch Meisandre and the Battle of the Blackwater (a huge naval battle that I thought might get removed for budgetary reasons). And the whole thing is cut to Florence and the Machine’s Seven Devils, a perfect fit for a world where seven kingdoms are overseen by seven gods. The second season of Game of Thrones begins on April 1st on HBO. Comments for Check Out This Trailer For “Game of Thrones: Season Two” are now closed.